One of my favorite restaurants has an appetizer called Bleu Cheese and Caps which is small sautéed mushroom caps served on a bed of large, crunchy croutons topped with melted bleu cheese. I order it every time and eat every last bite! 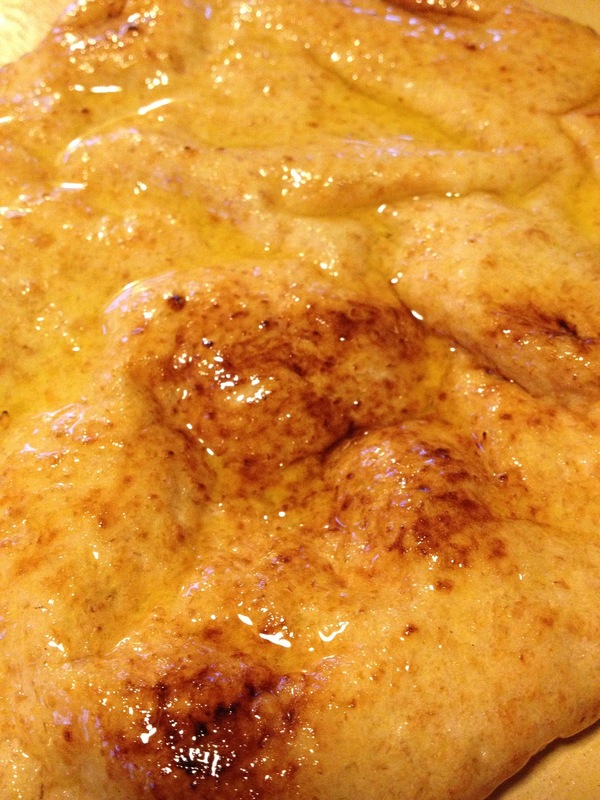 I have adapted the recipe and bake it on flatbread. Preparing the dish on the flatbread allows for it to be served as a finger food that is much easier to eat. 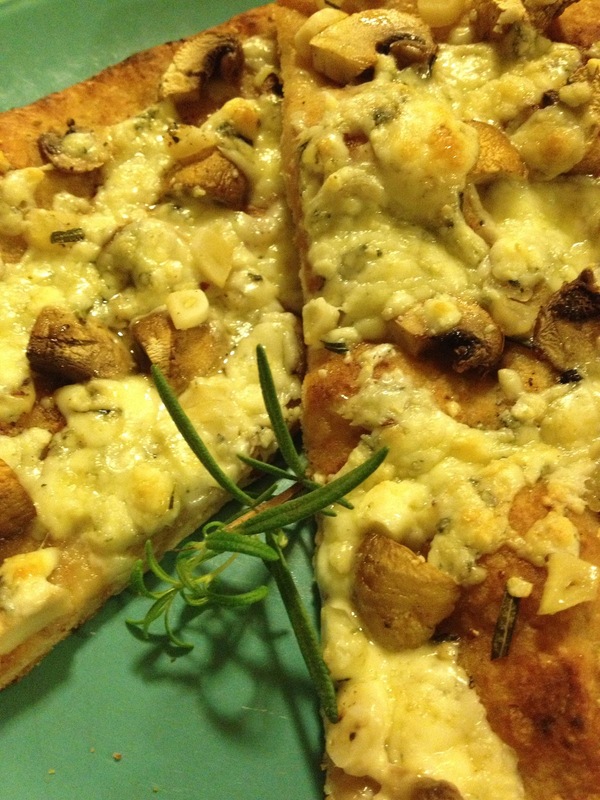 This recipe incorporates two of my very favorite flavors: garlic and rosemary. It is important to use fresh rosemary for its tenderness. When dried, rosemary becomes quite brittle and sharp, and it doesn’t soften when used in cooking. You can use whatever your choice of mushroom is. There are a variety of edible mushrooms. For a stronger flavor that compliments the garlic and rosemary, use a baby Portabella or even a Shiitake. However, white button mushrooms work fine as well. Mushrooms are not just perfect for adding flavor to dishes, they are also known for many health benefits and are a good source of vitamin D and fiber. Mushrooms are like mini-sponges though, so do not wash them under water because they will absorb the water and become mushy when cooked. Just take a damp cloth and wipe them clean. Preheat oven to 350 degrees. 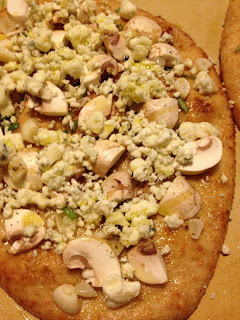 Lay the flatbread on a baking sheet. Drizzle heavily with Olive Oil. Layer the mushrooms, garlic and cheese on the bread. Sprinkle with chopped rosemary. Drizzle with olive oil. 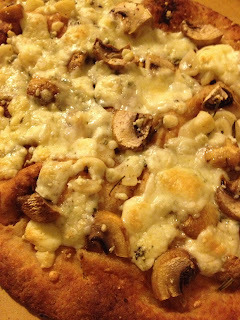 Bake for 12-18 minutes until the bread is toasty, the mushrooms and garlic are soft and the cheese is bubbling. Place under the broiler for 2-3 minutes to brown the cheese slightly. Slice, garnish with a sprig of rosemary and serve. This appetizer is great hot or at room temperature, so it is perfect for parties.